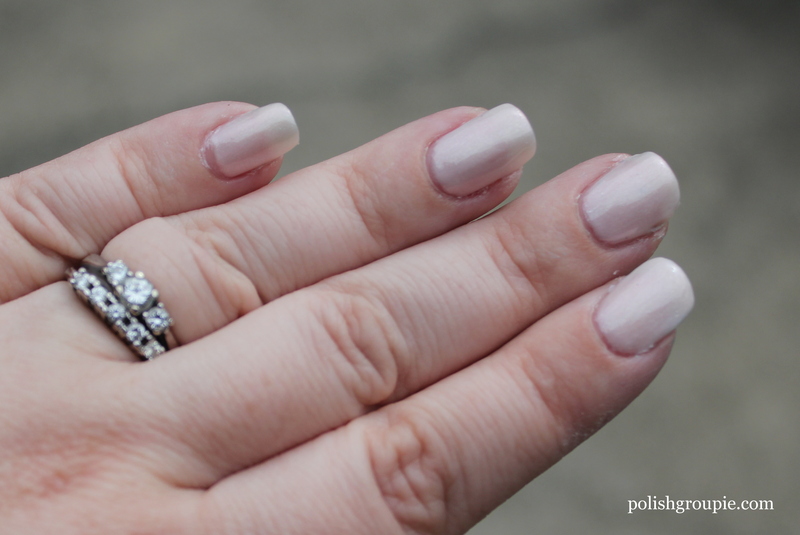 Social Ladder is a sheer-ish pink polish with a subtle iridescent shimmer. 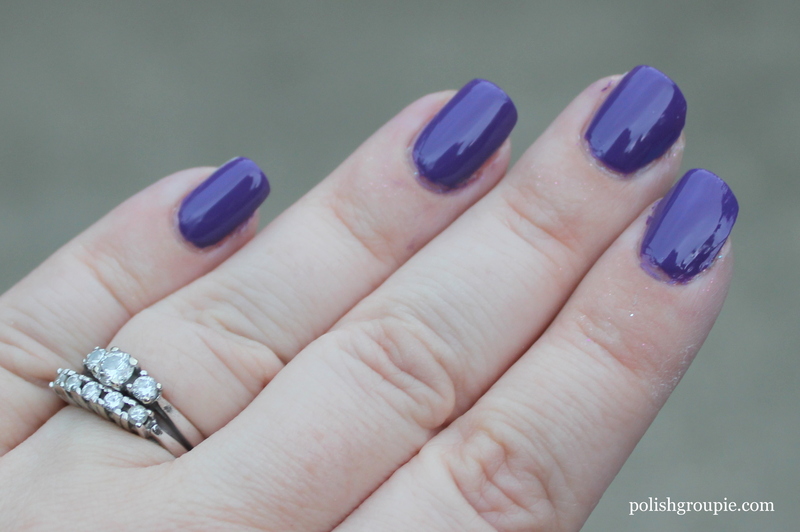 This is three coats, no top coat. 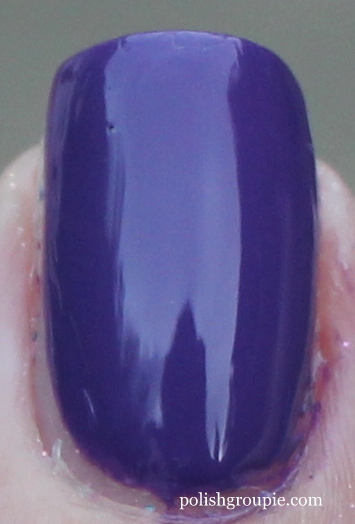 Next up is Frenzy, which sports purple and teal micro-glitter in a clear base. 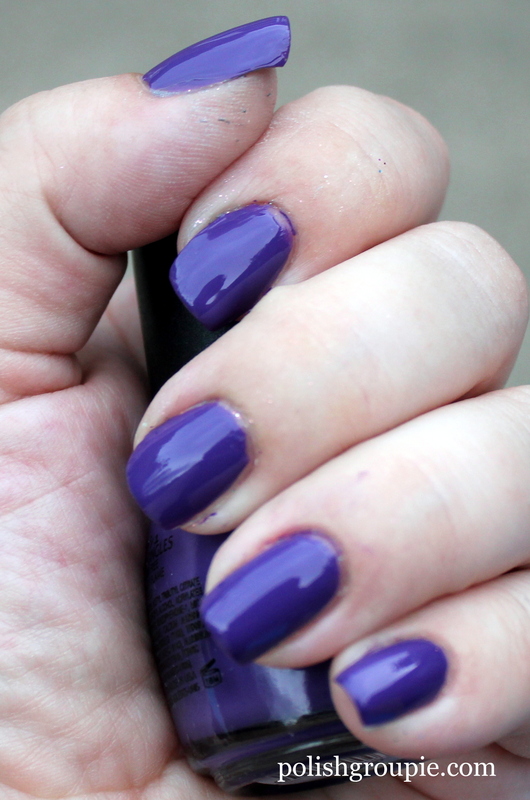 Here’s one coat over Social Ladder, no top coat. It was pretty hard to clean up. You can see remnants of it around the edges after I switched to the other colors. But it’s very eye-catching. This one is my favorite of the group, Cinderella. 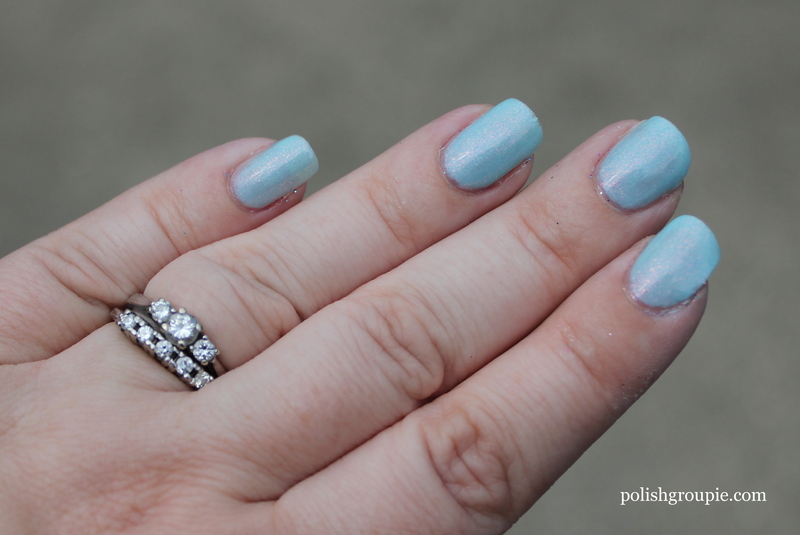 It’s a really nice, elegant pale blue with a very subtle pink shimmer. This is two coats, no top coat. 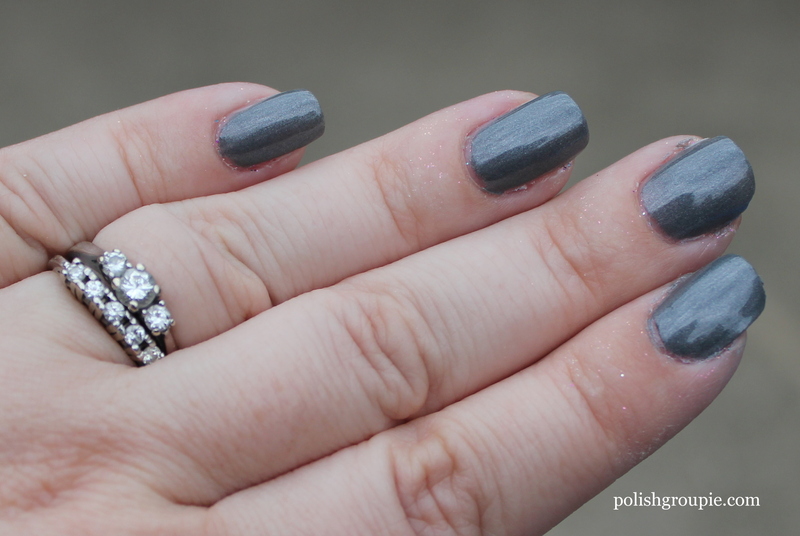 Moving on to Slate, a medium gray with frosty silver shimmer. 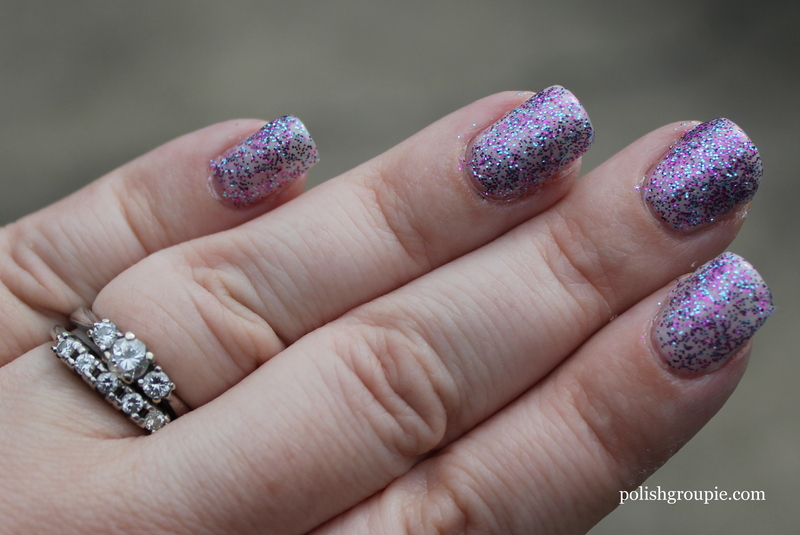 I think this would be a great color underneath a lot of the popular glitter layering polishes. This is two coats, no top coat. Last of this bunch is Amethyst, a grape purple cream. After taking these photos I added a coat of Poshe and wore this one for a week with only minimal tip wear, so very pleased with its longevity. That’s it for now. 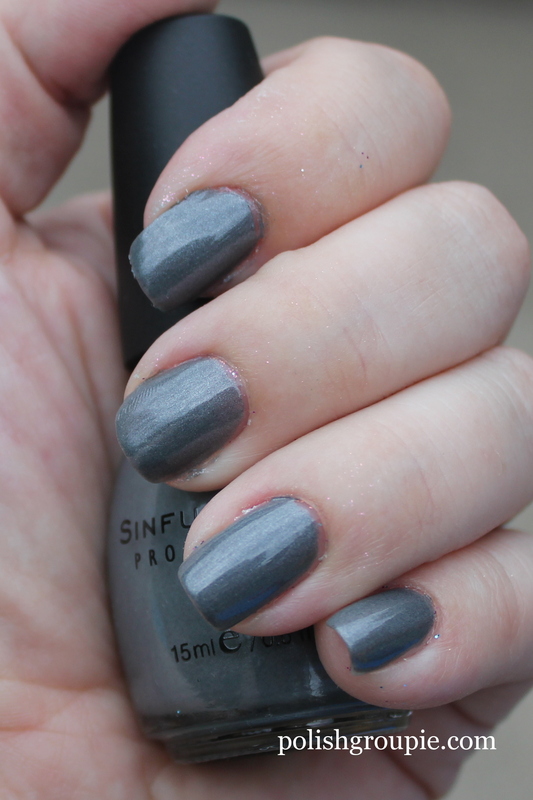 What Sinful Colors did you pick up in last week’s sale?